Shane's Chess Information Database is a powerful Chess Toolkit, with which one can create huge databases, run chess engines, and play casual games against the computer or online with the Free Internet Chess Server. It was originally written by Shane Hudson, and has received strong contribution from Pascal Georges and others. 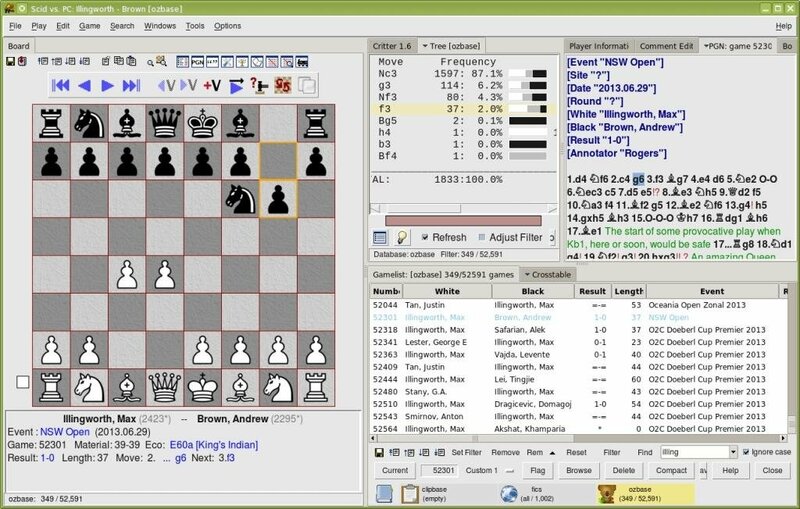 Engine versus engine computer tournaments. 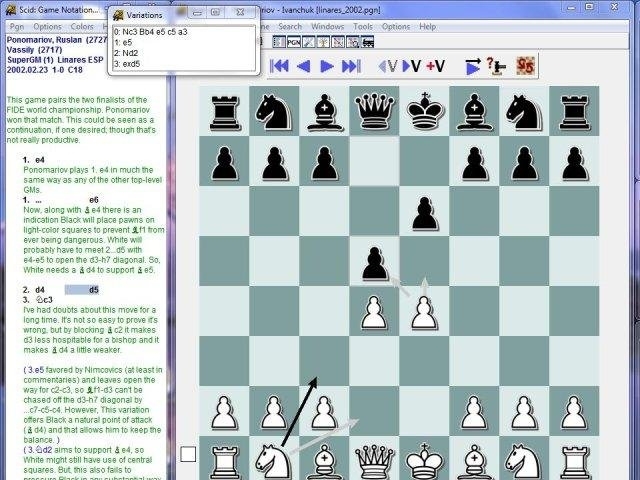 Extra search features, including move, end-of-game, and stalemate/checkmate searches. Drag+Drop file opens for Windows and Linux. Rewritten Gamelist widget with convenient context menus and buttons, and integrated Database Switcher. Improved Computer Game and FICS features, including premove, and simultaneous observed games. 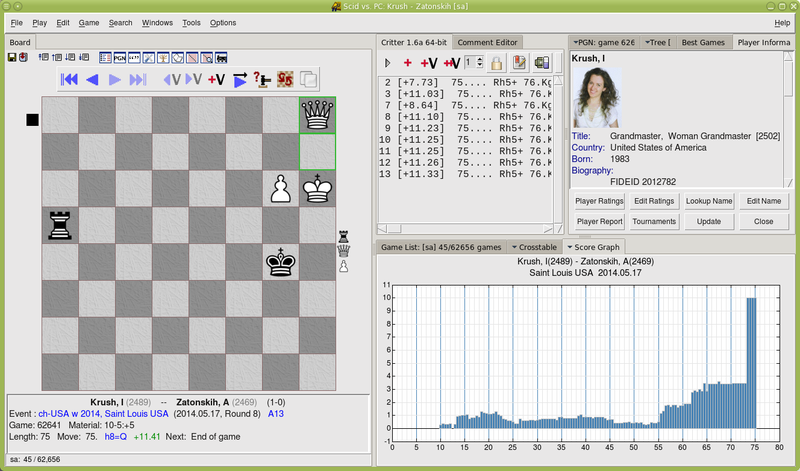 Many chess engine improvements, including max-ply option, an unlimited number of engines running, and the function hot-keys can be explicitly set..
Tri-coloured Tree bar-graphs, and options for more or less statistics. Ratings Graph can show multiple players, and Score graph is an attractive bar graph. Improved Book windows, including book compare, and remove move features. Redone Button and Tool bars. 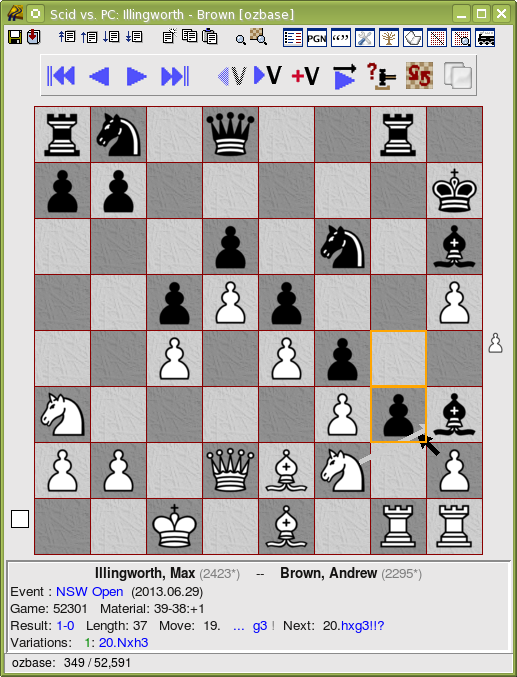 The Chessboard/Pieces config widget has been overhauled, and includes support for custom tilesand pieces. Bug tested Undo and Redo features. The Help index is meaningful to new users, with links to the game's main features. Clickable Variation Arrows, and Paste Variation feature. A user friendly Annotation feature, with search-to-depth feature. Better support for UTF and Latin character sets in PGN export/imports. Improved and more powerful Tree Mask feature. 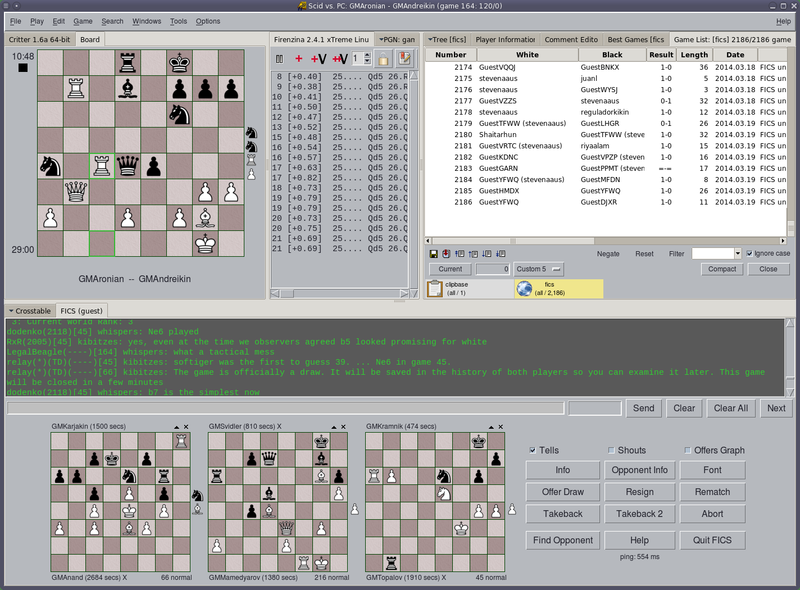 Most chess variants (such as Chess960 / Fischer Chess) are unsupported.